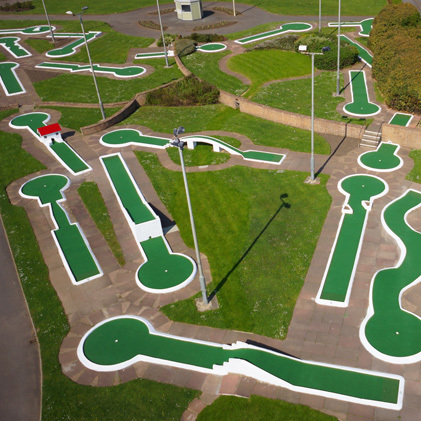 UrbanCrazy » This crazy golf course is all Wight! In this age of ‘staycations’, many British seaside towns are working to capitalise on our nation’s rediscovery of the UK’s beautiful and cherished coastline. 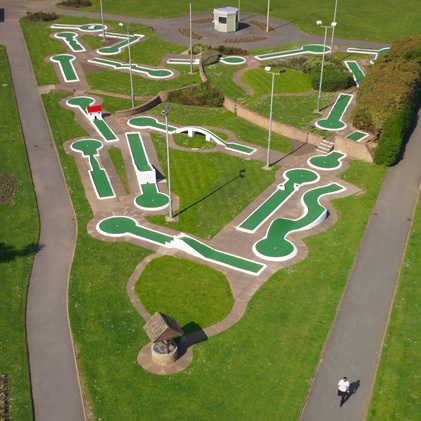 And in a drive to boost tourism, the administration for one such seaside town, Sandown on the Isle Of Wight, commissioned UrbanCrazy to regenerate their crazy golf course – a course that has been in existence for close to half a century! 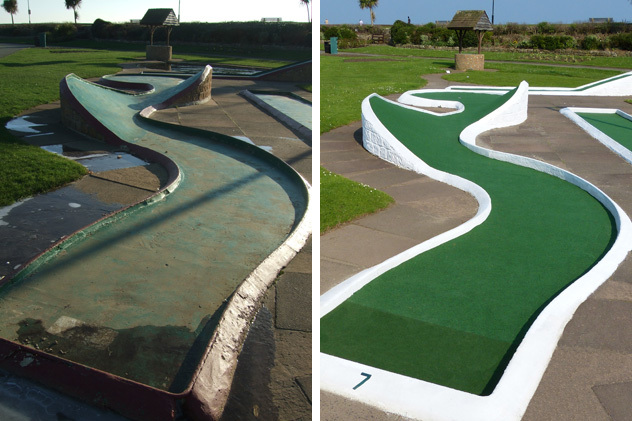 We were tasked with improving the appearance, durability and playability of the course. This included redesigning and remodelling some of the holes, upgrading the borders as well as skimming and applying new carpet to the bases, amongst other things. However, the project wasn’t without its challenges. The course lies at sea level and we had to work through a period of horizontal rain during the wettest April this country has seen for 100 years. Needless to say the worksite got pretty wet at times! But despite the wet conditions, we donned our macs and worked expeditiously right through to completion of the project. 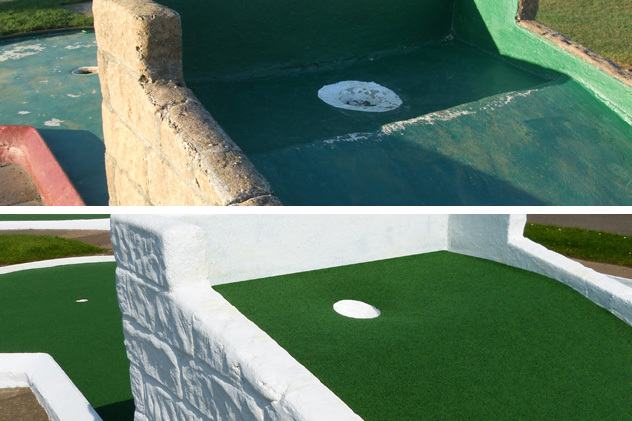 We are now delighted to say that we have turned the course from a relic of the 1960’s into an attractive facility that visitors from near and far would want to visit. Just take a look at the results in our gallery (right). Sandown is a great place for a weekend visit with the family. 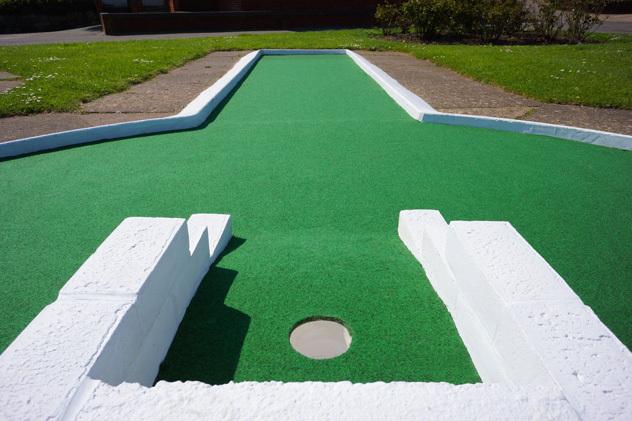 There’s plenty to do and see locally including: Dinosaur Isle; Isle Of Wight Zoo; the pier; and amusements. 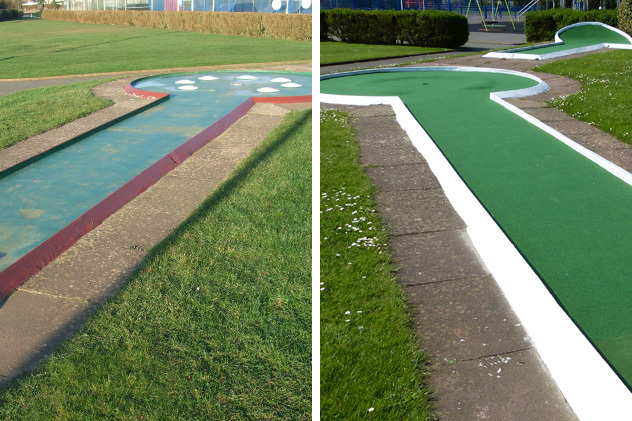 The 18-hole crazy golf course itself is located alongside the new multi-sport play courts and “ADIzone” fitness area in Sandham Park, Culver Parade. 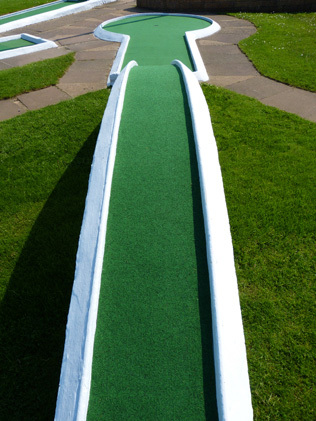 If you break 40 on the course be sure to let us know – tweet us at @Urban_Crazy! 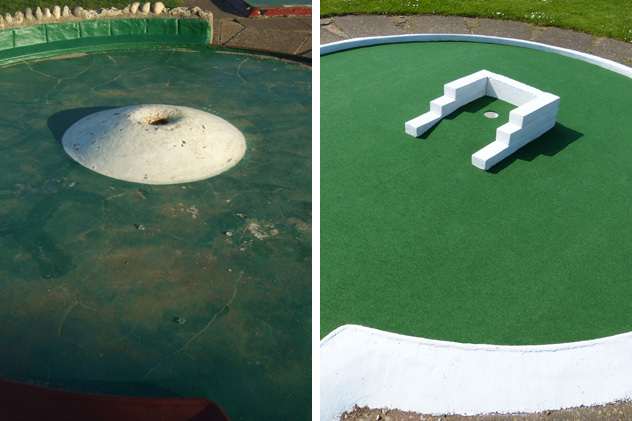 Do you know of a minigolf, adventure golf or crazy golf course that could do with a makeover? 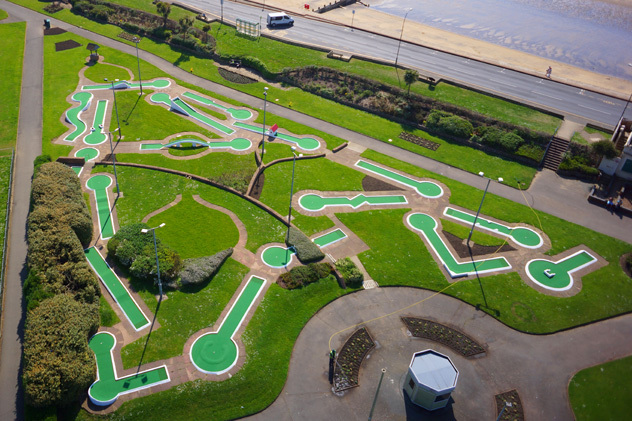 If so, point them in the direction of UrbanCrazy, the UK’s no1 for miniature golf!